Please see how we can help with your busy schedule and take care of your precious hounds. could be reinforced during our daily exercise in busy social and regularly changing environment. with all this in mind I am sure you will not find a cheaper help elsewhere. We invite all our customers to come for a pre-booking visit to help you with that important decision, after all, your dog is a family for you, and we want to assure you that the same goes here. Monday to Friday with no exceptions, and we do work on all public and bank holidays. At the moment we have a few vacancies on our Dog Walking Round. One-off walk – £15 flat fee, incl. invoiced monthly and a charge of £5.00 is applied to all invoices raised. Re-invoicing fee is £25 plus interest on money owed. Please pay your bill on time! 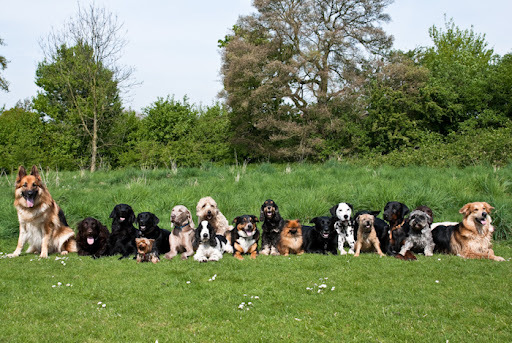 a reason we are this popular – our pack is our pride and joy! 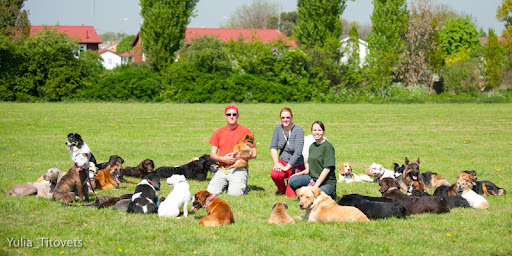 photographs of our activities to you (one of our staff is a professional dog photographer). anything on to other dogs. We will be requiring you to fill in an enrolment form that puts us in charge and therefore responsible for your dog, and will be asked to provide us with some details, including your vet’s and insurance, to help us deal with emergencies may such arise. Please note that we do not request that your pet has a health insurance as a compulsory element, but you might choose to purchase the policy as most of the fees arising as a result of medical treatment are extremely high and you will end up with the bill to settle yourself as a result. (we’ll be issuing you with a “Good Boys Dog School” one free of charge). Some of our students spend up to half of their lives with us, and any signs of illness may become evident when your dog is in our care just as much as when they are with you. So please be sure that when you sign up with us you consider and accept the position that you have trusted us to care for your dog on your behalf and are not going to be pursuing us in any way for the facts of life, state of health or behaviour of your pet in case such change occurs. sure you have a towel waiting for him/her at home. Or we would be happy to make arrangements to have your dog washed by a professional at the end of the run if you authorise us to do so. And come and meet the Team! See you there!